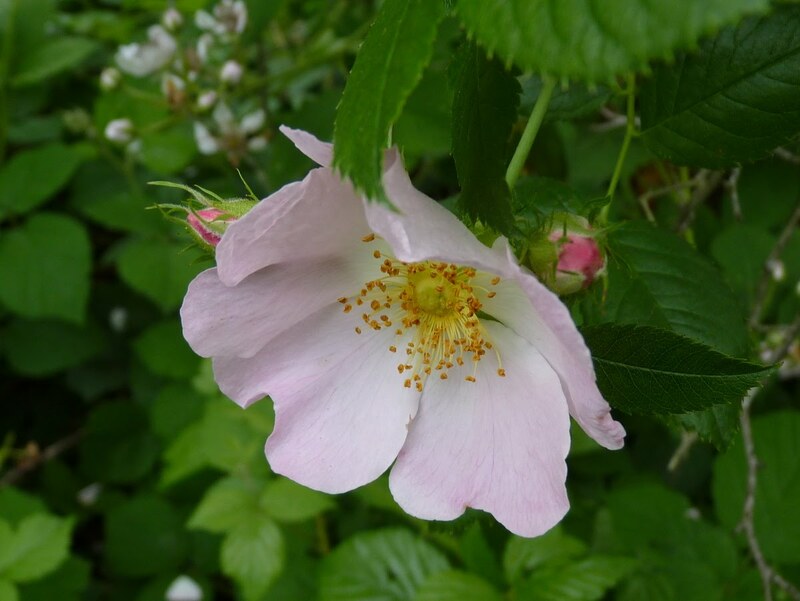 A pale pink flower of the hedgerow it typically scrambles through the bramble and hazel and gets twisted with bindweed. 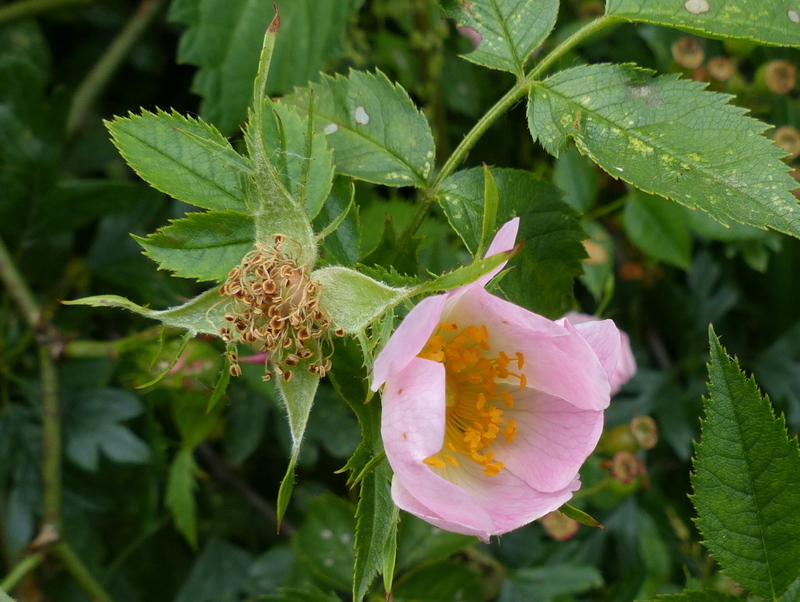 It fights for space with the nettles and thistles and generally gives a good account of itself. 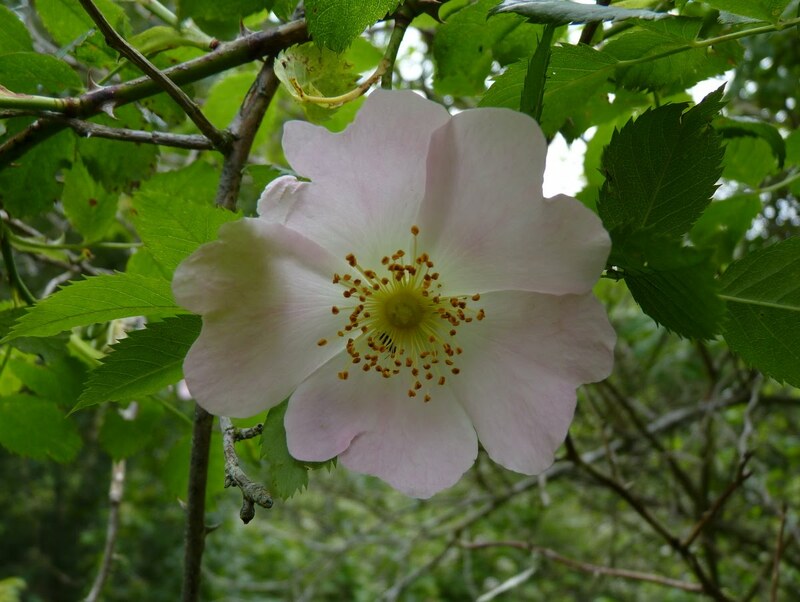 Our hedgerows are a wild tangle of plants and this is a wild rose. 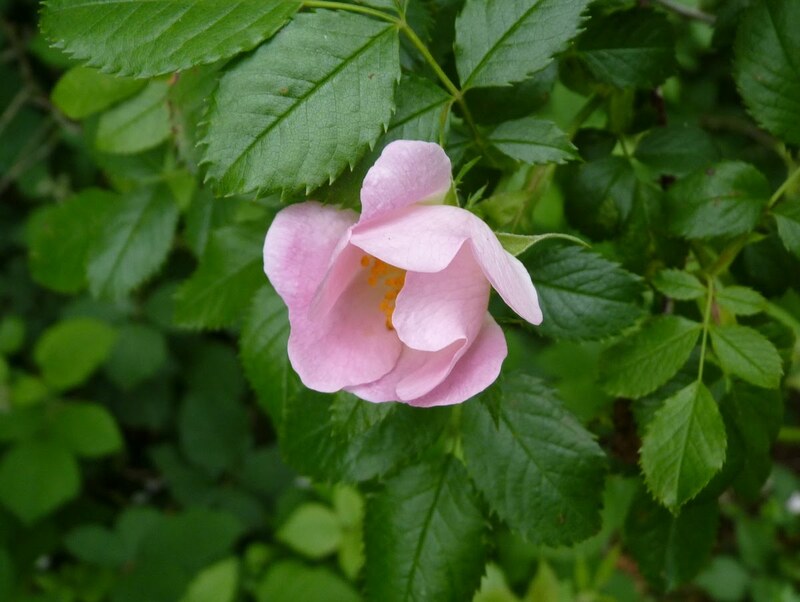 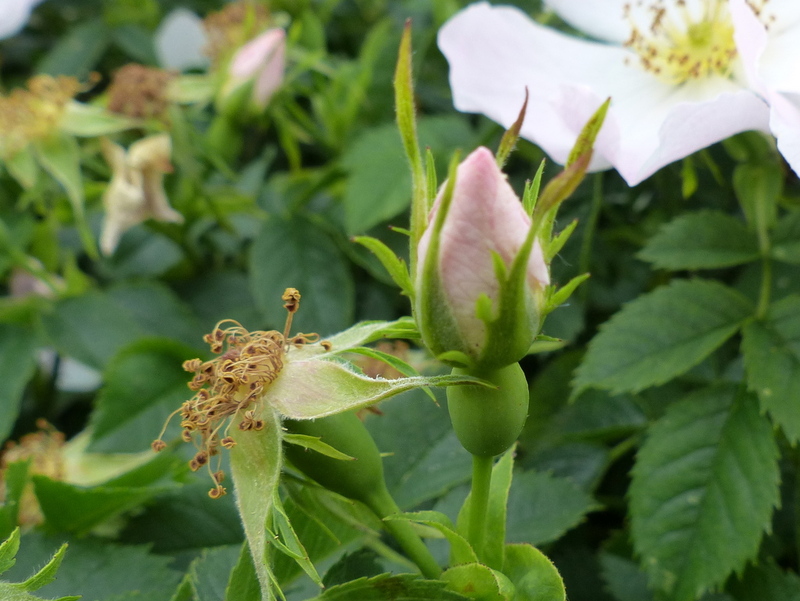 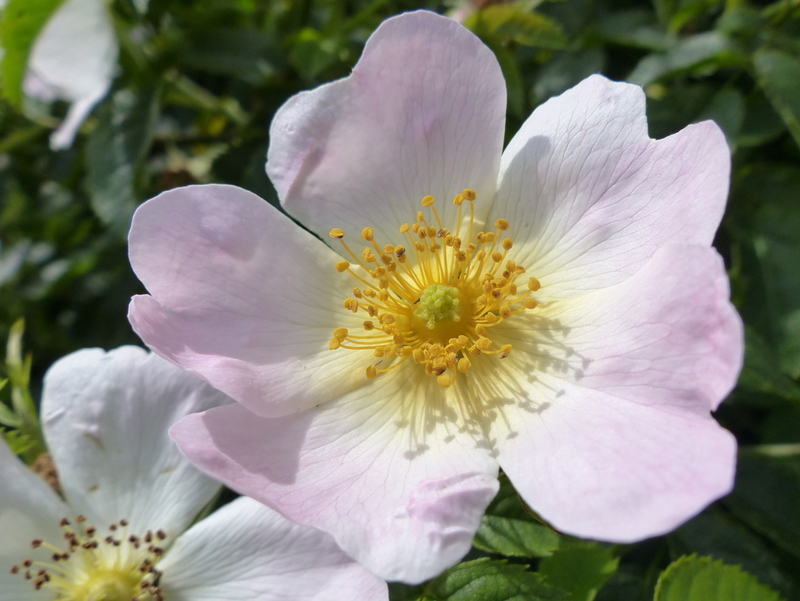 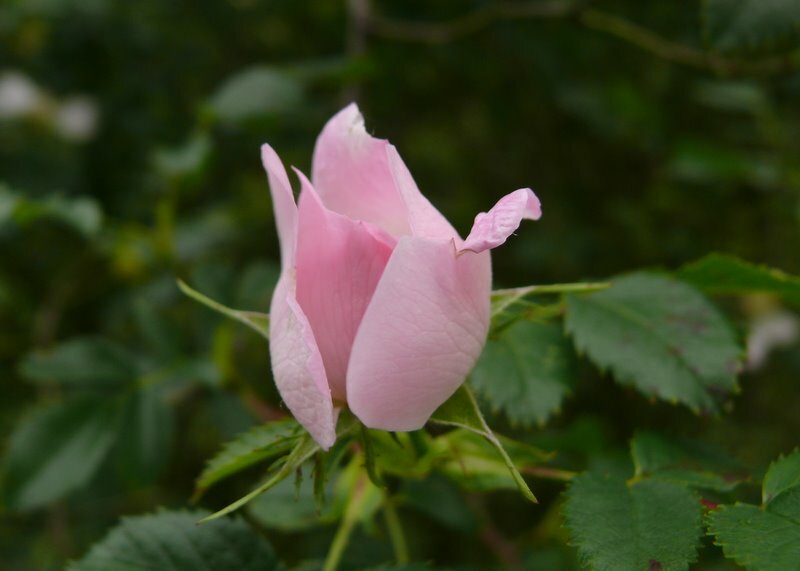 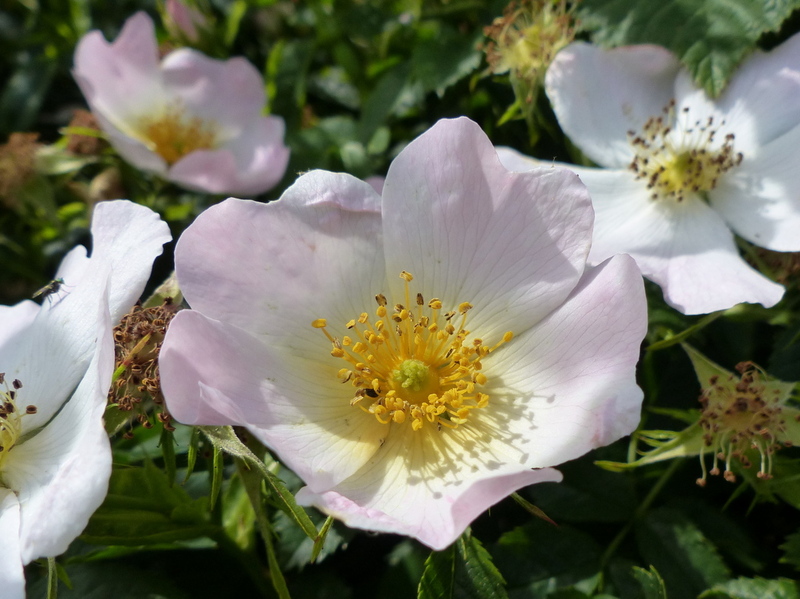 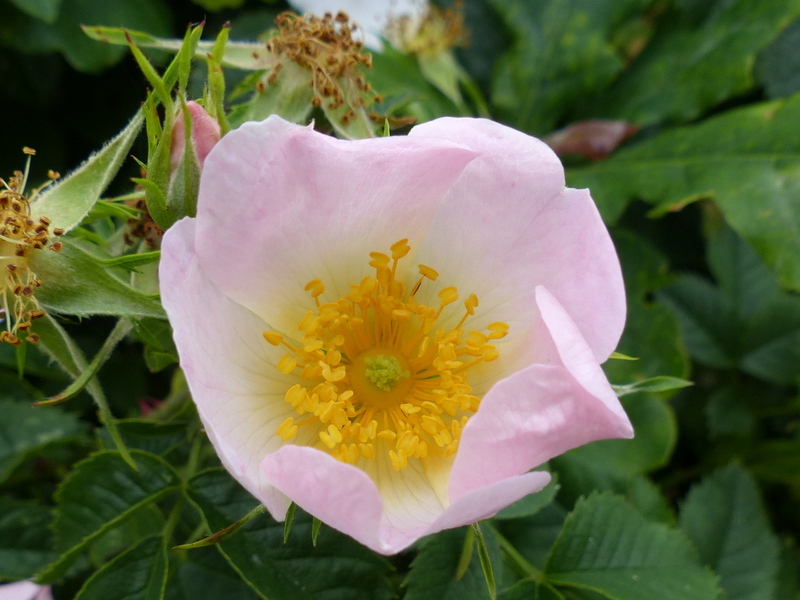 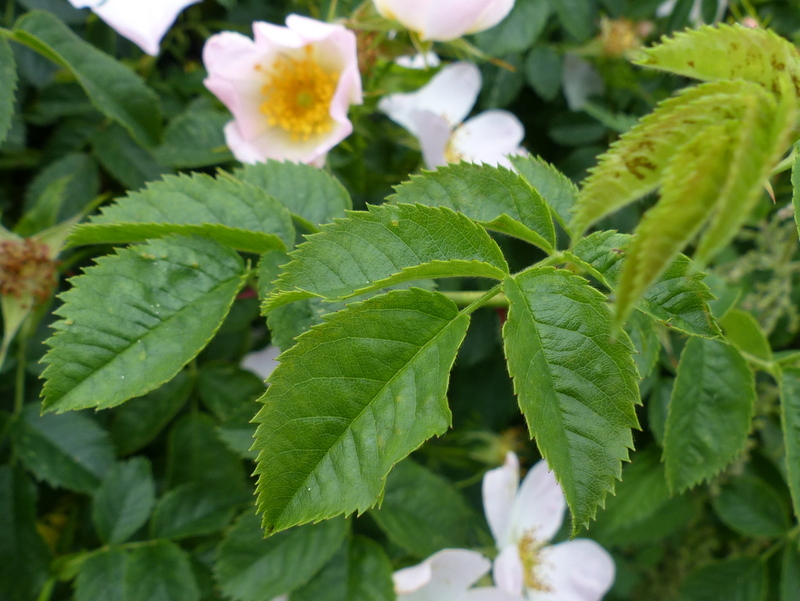 Rosa canina is the most widespread of our roses and can be found throughout the UK. 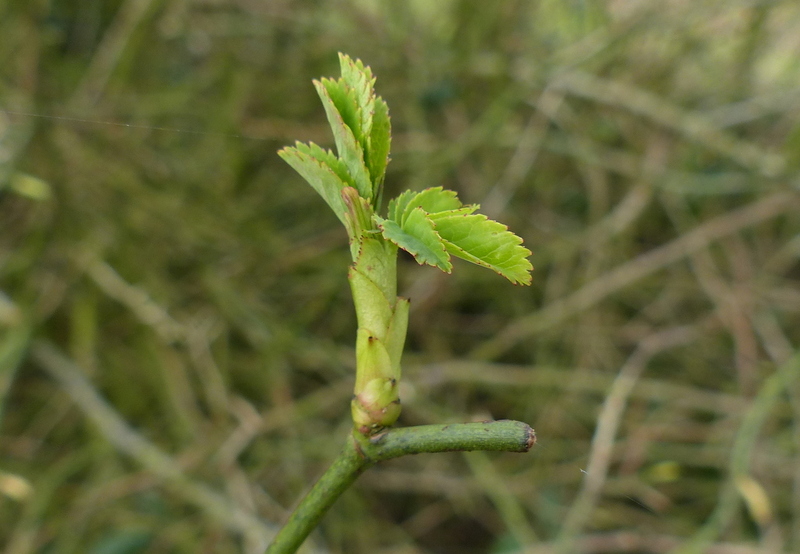 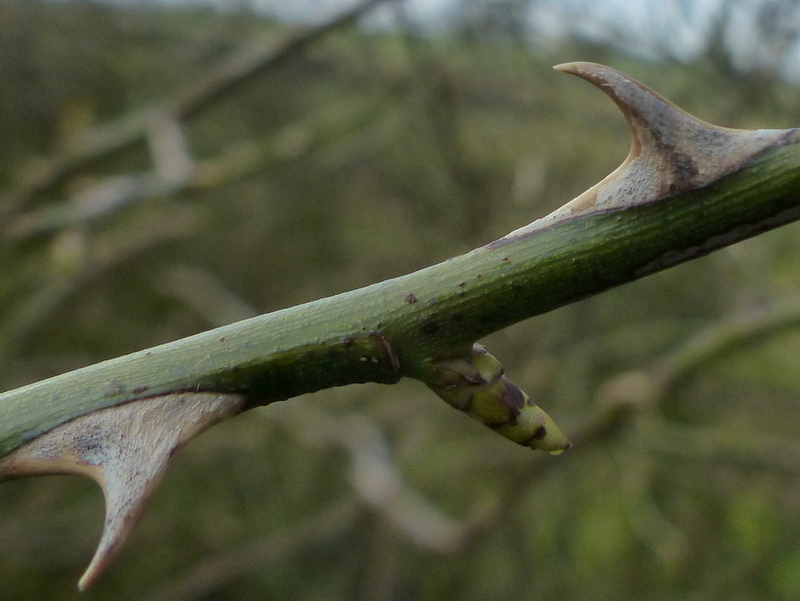 Leaf buds start to appear in early March and often the fruits still look quite fresh on the branch. 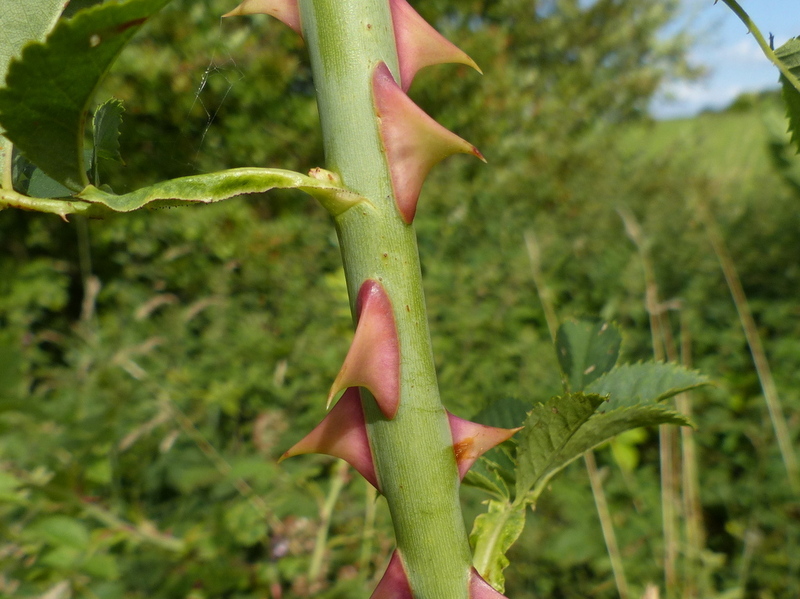 The Dog Rose has formidable thorns. 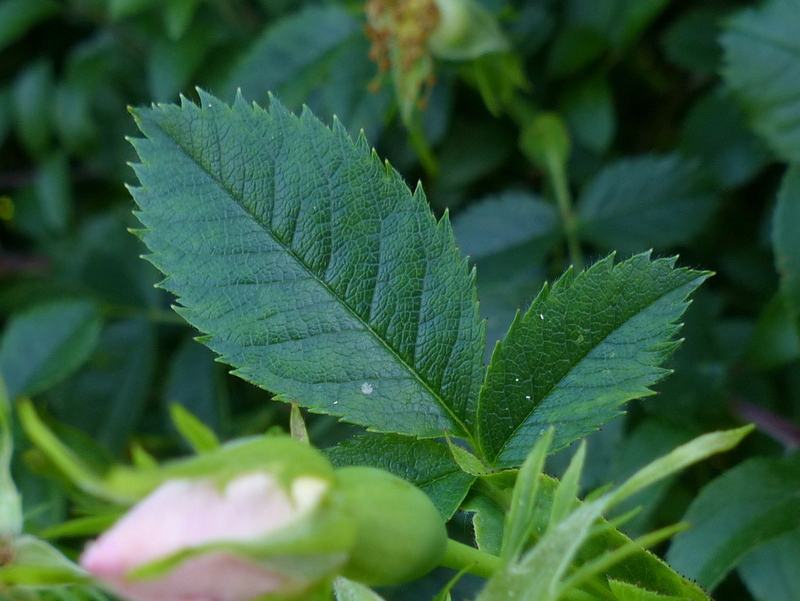 The leaves open before the flowers and they are small, oval and sharply toothed. 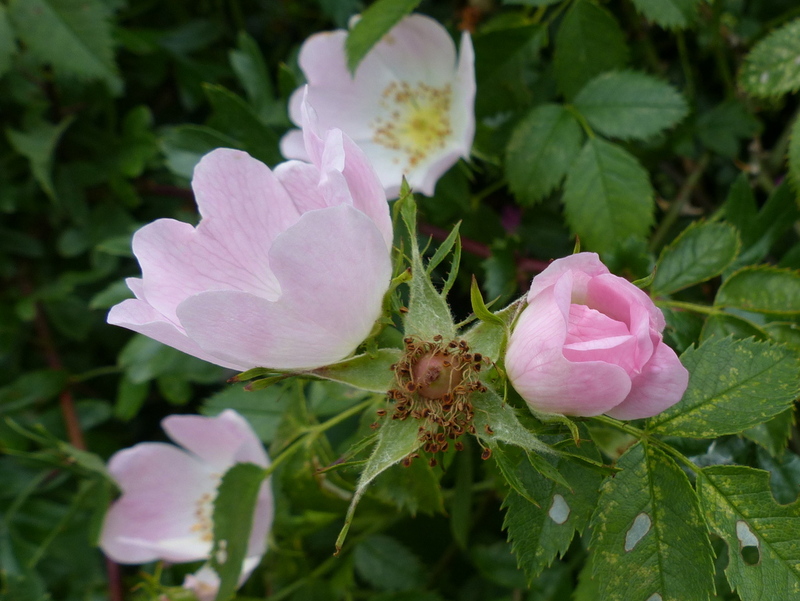 This year flowers started to appear towards the end of March and the flowers faded in August. 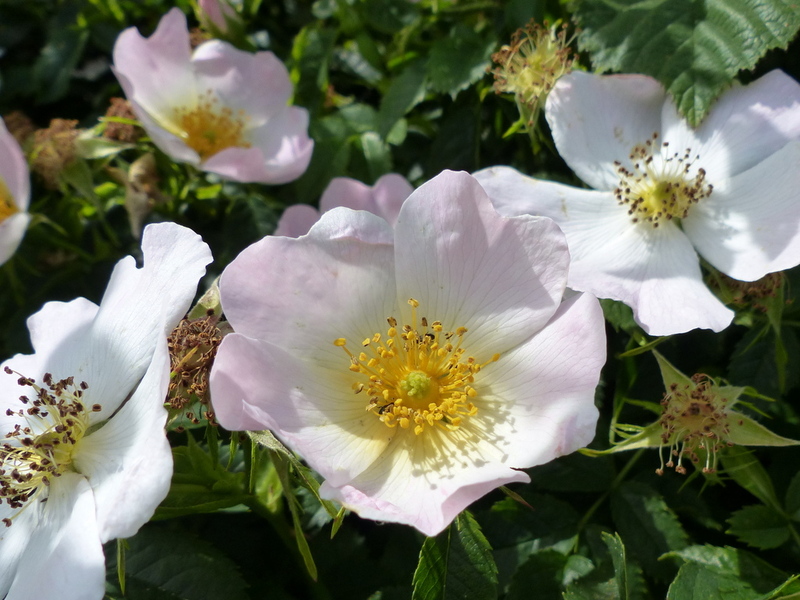 The flowers can be quite pale to almost white, the buds show the best concentration of colour. 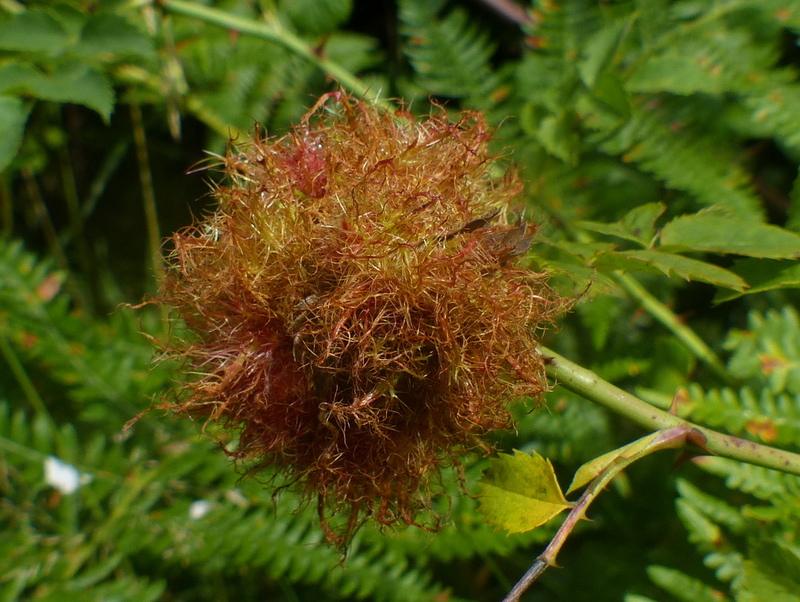 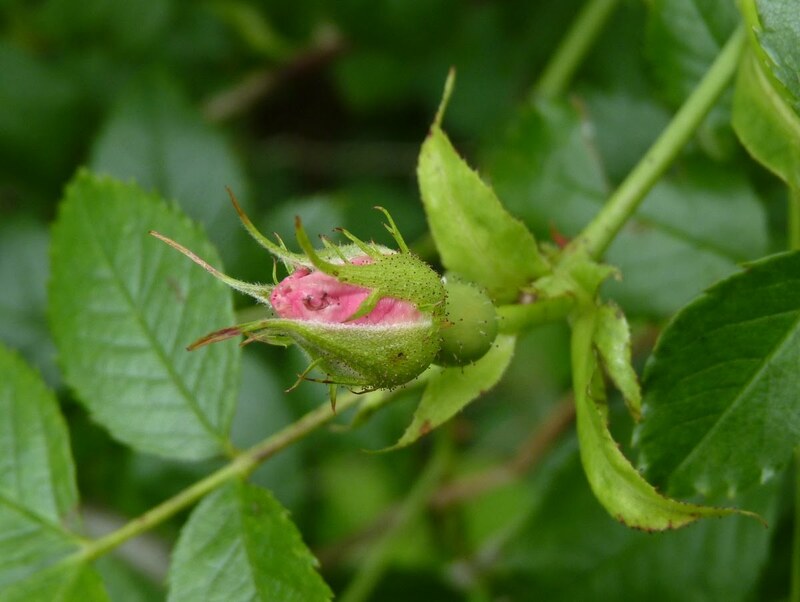 Wild roses have a Gall made by the tiny gall wasp Diplolepis rosae and called Robin’s Pincusion or the Rose Bedeguar Gall. 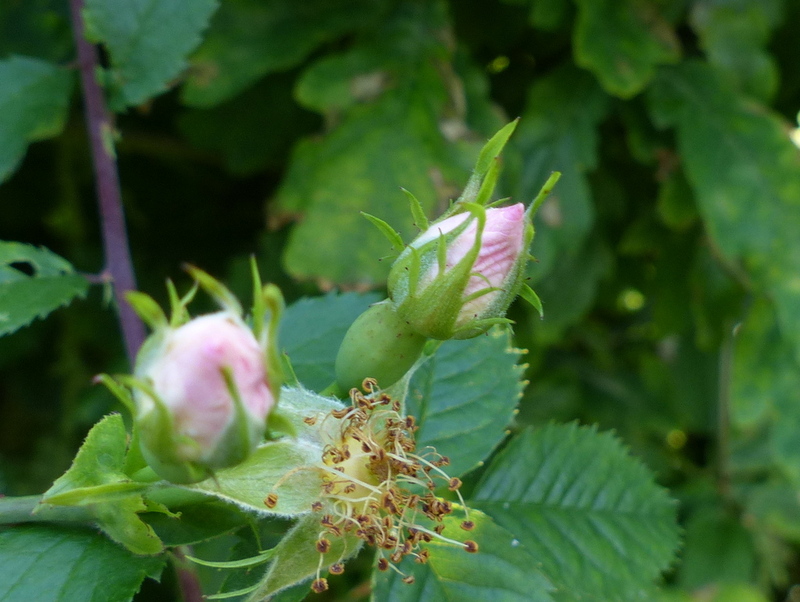 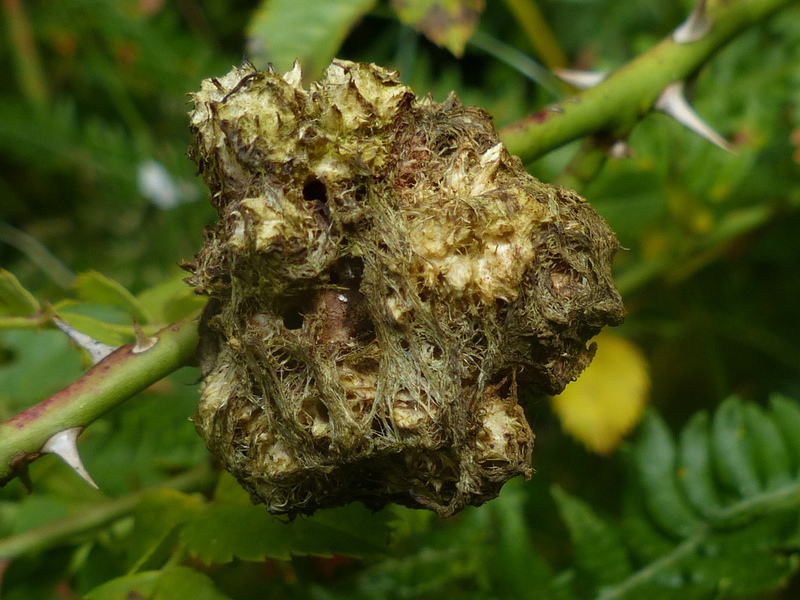 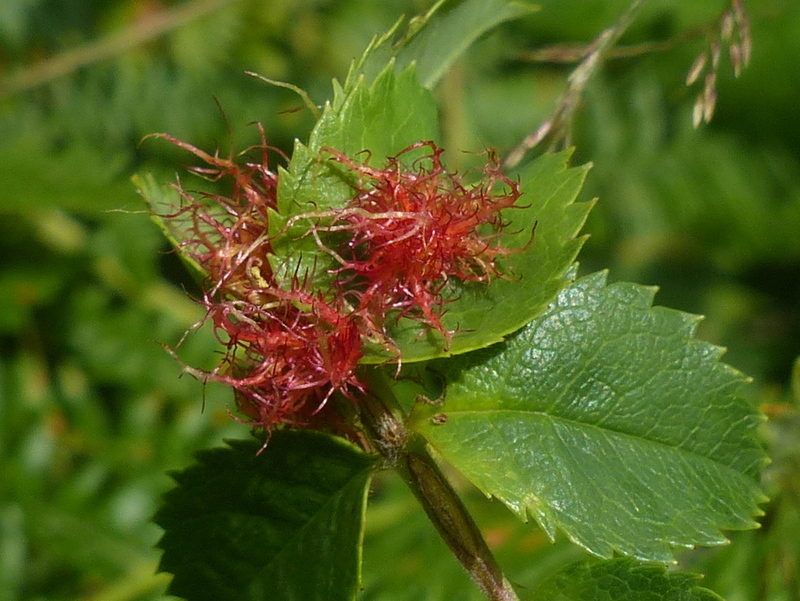 It is quite a common gall, look for it wherever you find wild roses. 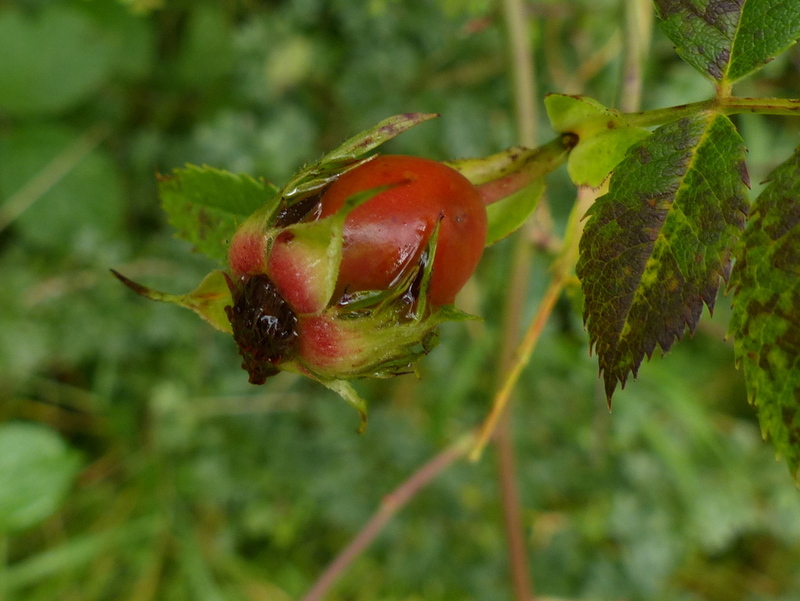 When the flowers are done the Dog Rose produces fruit. 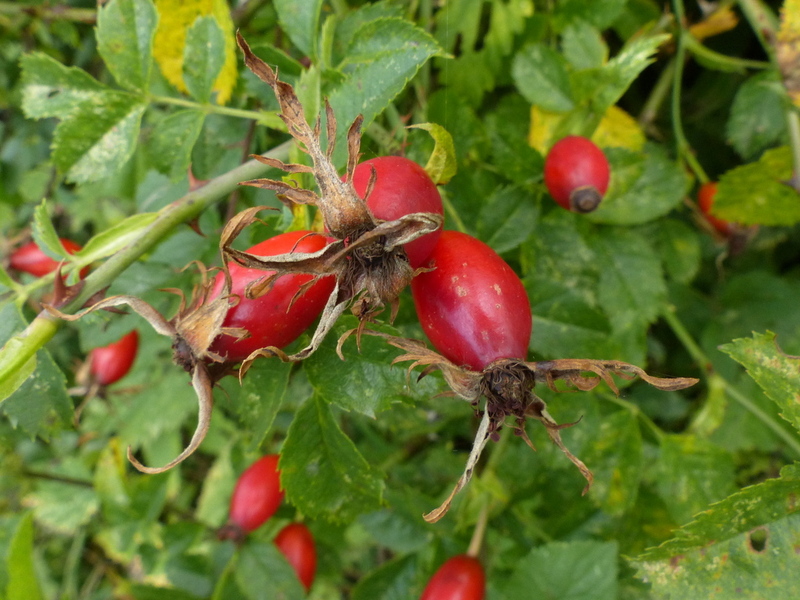 Rose hips are very high in vitamin C. They are edible but they contain fine hairs that children use as itching powder so if eaten raw care should be taken to avoid these hairs. 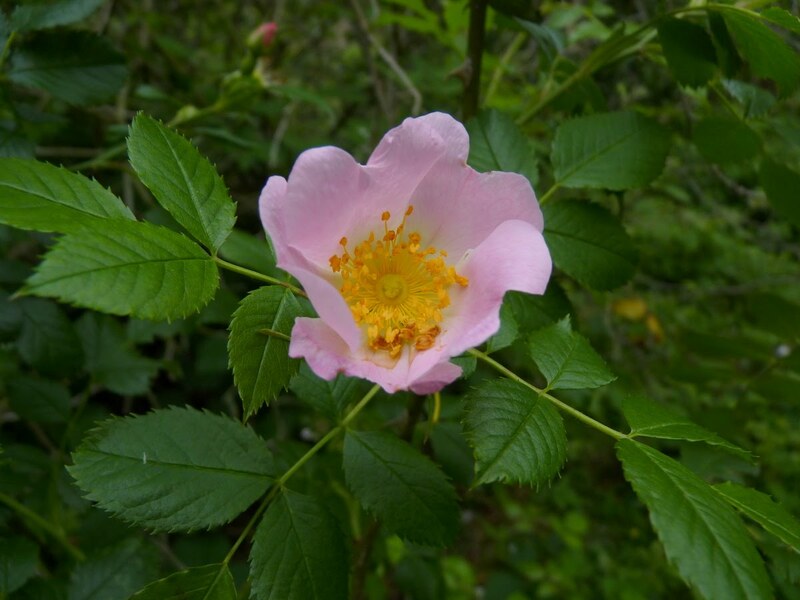 They are used to make a variety of teas, soups, jams and jellies. 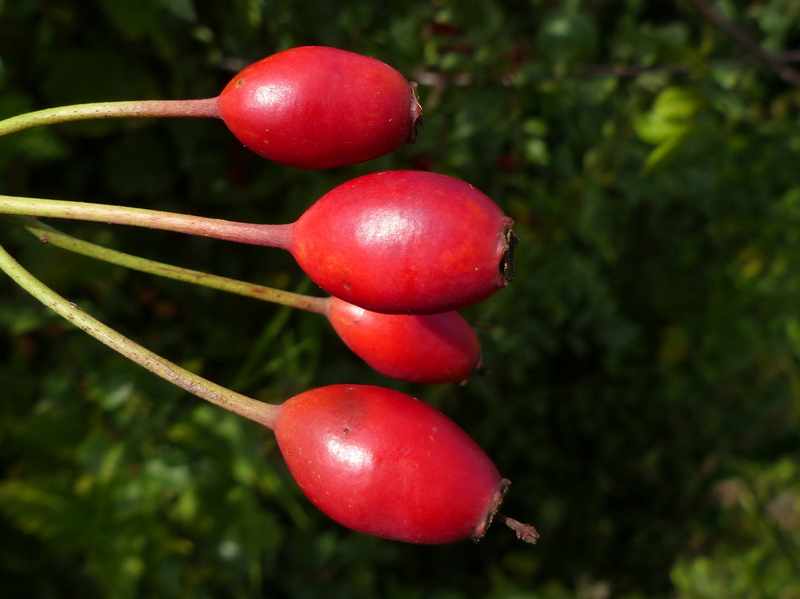 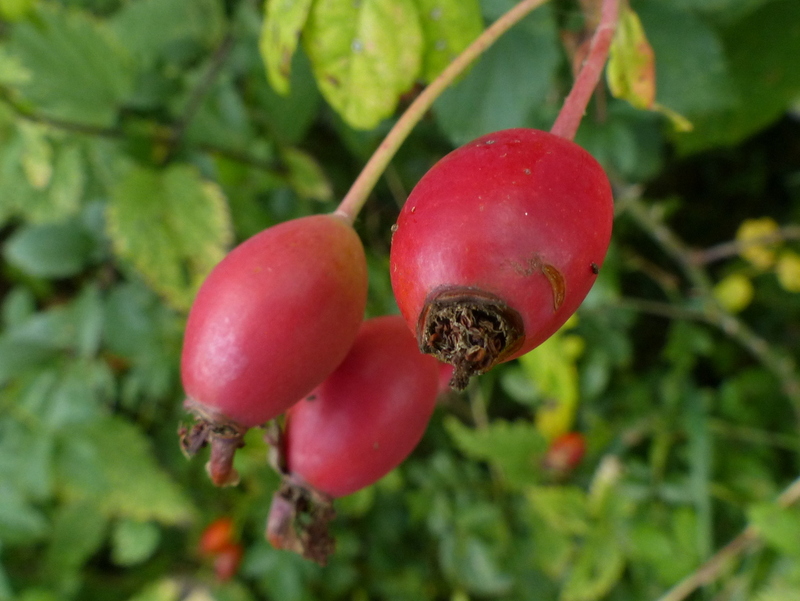 Dog Rose hips were gathered in wartime to make rose hip syrup to give added vitamin C to children when imported fruits were rare. 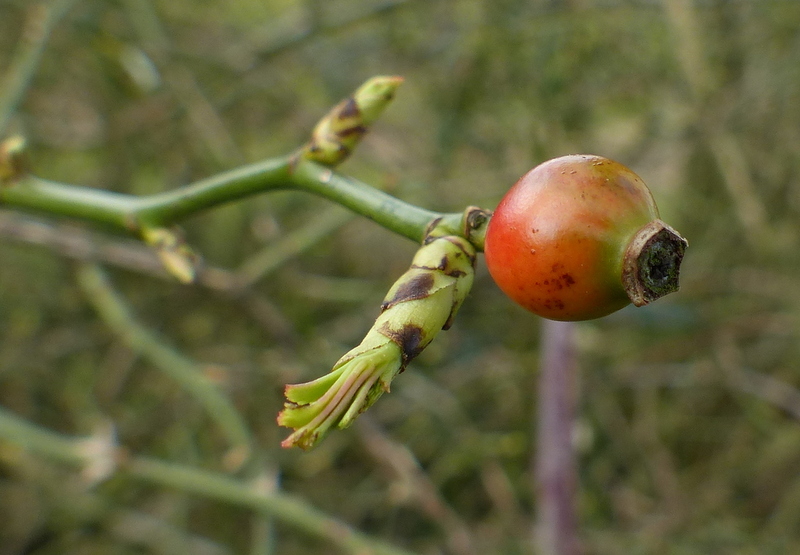 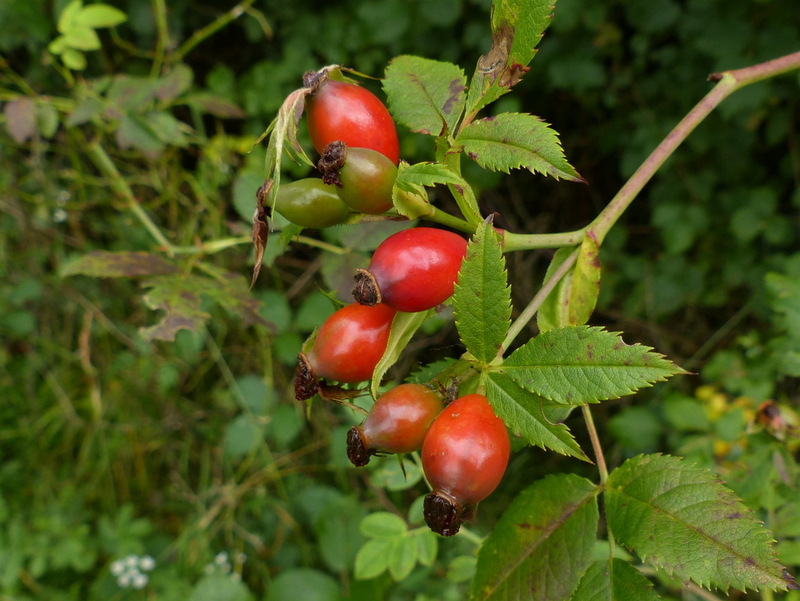 Rose hips are also known as rose haws. 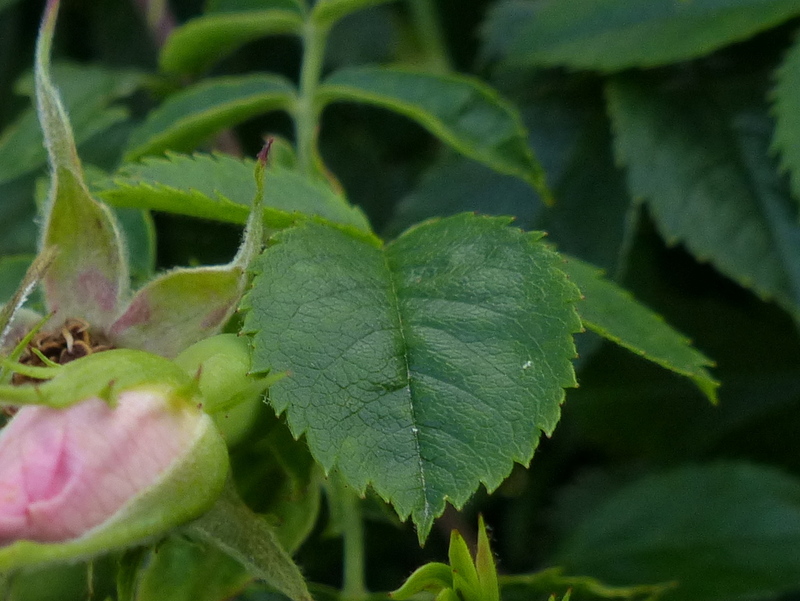 This is great, it is useful to have all of the different parts and stages. 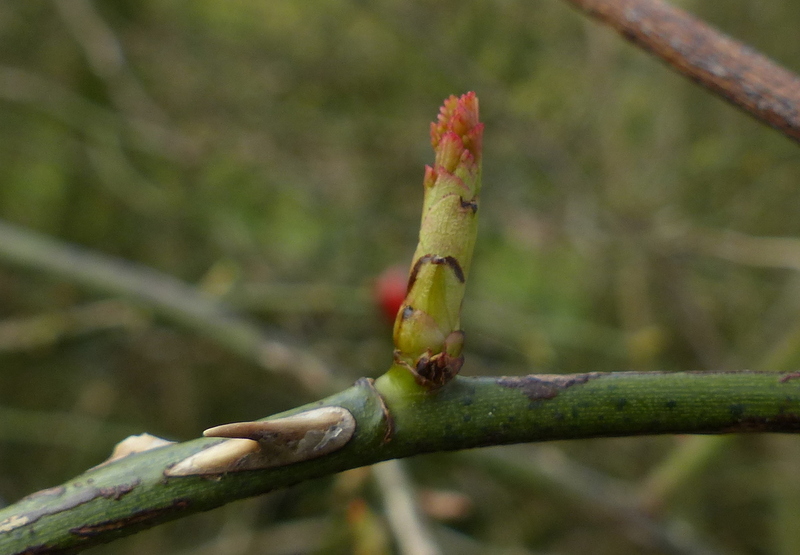 Colour is the most useful starting point for a novice like me. 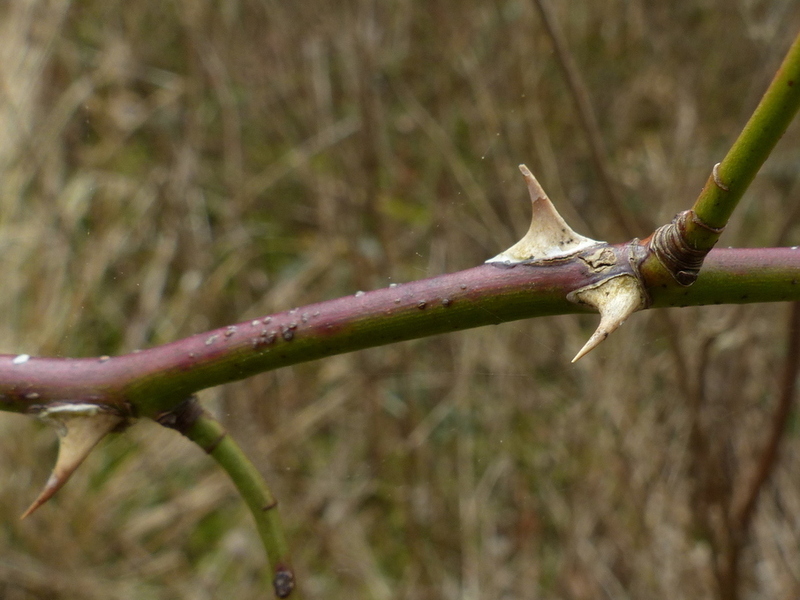 It is also useful to mention associated critters.